This past year at Ohio State has been exceptionally rewarding as a student and a Mount scholar. Thinking back to the beginning of the school year, it is hard to imagine how far I have come. I came to Ohio State in the fall not really knowing what to expect, but it ended up being such a positive experience. Academically, I challenged myself and took different classes in order to figure out what my interests are. As a result, I went from being undecided on a major to declaring an accounting major and a psychology minor. This was a huge step forward for me, since all my life I have never really known what career path I want to pursue. Now having a clear direction to follow, I am much more confident in what I can accomplish for the future. I have also significantly evolved as a Mount scholar. Being in Mount has challenged to be more outgoing and to improve my leadership skills. Legacy Week was a great opportunity for me to step up in organizing and implementing a service project. Being more hands on, rather than just watching from the sidelines, has made me appreciate the importance of service and serving the community. This involvement has inspired me to get even more involved on campus next year, whether it be academic, service, or social. I definitely plan on using all of the skills I have learned in Mount to continue getting involved, building relationships, and having a positive impact on whatever I decide to pursue. Being a freshman student at Ohio State has been an amazing experience and I cannot wait for more years to come. It is hard to know at such a young age to know what I want to do for the rest of my life. For the past seven months, I have been searching for the career path that is right for me, which has been a stressful and nerve-racking experience. I have been experimenting with various classes trying my hardest to discover my interests and passions. But when you are in college, you only have so much time to make a decision, due to extensive prerequisites for specific majors. It was not until the end of my first semester that I did not truly want to pursue an engineering or math career. After speaking with many upperclassman and my academic advisor, I finally discovered a major that I was curious in looking into: accounting. I then registered for a business survey class which taught me so much about Fisher College of Business and finally sparked an interest. Now, I proudly announce with confidence that I am pursing a major in accounting and a minor in psychology. Being able to declare a major and a minor have been a huge milestone in my college experience thus far, as it allowed me to learn more about myself and my interests as well as helped me discover a clear path for my future. Before, it was difficult to find motivation to do well in my classes and not knowing what I wanted to major in was very discouraging. However, I now have a better understanding of my purpose in life and am excited to finally be able to pursue my new interests. My first semester in college was mostly how I expected it to be. Classes were more difficult than they used to be in high school, exams and midterms were stressful, and having to adjust to living with a stranger for months on end felt very strange. However, I can say that I am proud of how independent I have become throughout this experience. I have grown so much more as a leader through my involvement with Mount Leadership Society and as a student through my journey of discovering my major. Finally living away from home has given me the opportunity to figure out who I am, what I like, and what kind of person I want to be in the future. Mount Leadership Society has really helped me realize what kind of leader I want to be and my purpose for serving others. I have learned so much about myself and have made a few amazing friends along the way. Mount made my transition into college such a positive experience. Not only that, but I have also been able socialize and stay in shape through my involvement on the OSU Running Club team. Academically, I am proud of my performances, but most importantly, taking an assortment of different classes helped guide me to what major I want to pursue. Beforehand, I was constantly worried not knowing what I wanted to do for the rest of my life, but now I have my life more figured out which makes me more confident than I have ever been. I have had an amazing first semester here at OSU, I cannot wait for what the future has in store for the ones still to come. In high school, I was very motivated when it came to acedemics and extracurricular activities. It was always my goal to challenge myself and pursue excellence in because I knew that having good grades and a high GPA meant getting into a prestigious college after high school. 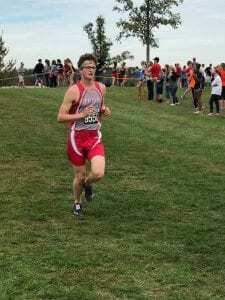 I also was a varsity runner on the track and cross country teams, striving everyday to run faster and longer than the day before. My hard work throughout all four years in high school definitely paid off, as I was awarded Scholar Athlete of year at graduation and awarded a $500 scholarship. This Scholar Athlete award is very important to me because it represents all of my hard work and dedication. This award was given to one and one female with the highest GPA and most varsity letters from the senior class. I am very thankful to be given this award, as it recognizes all of my major high school accomplishments. Receiving this award made me realize that if you challenge yourself and strive for greatness, great things will come of it. I am proud of all of my hard work and hope to continue this trend throughout my experience in college. My Scholar Athlete award not only provided me $500 to help pay for college, but it taught me how to bakance my education with extracurricular in order to be successful in both aspects. This is a photo of me as the drum major of my high school’s marching band. I was a drum major for both my junior and senior year of high school, and I can confidently say that this experience changed my life. 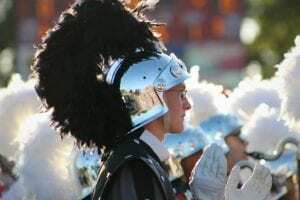 Not only was I given the opportunity to stand on a podium and conduct the marching band, but I was able to grow substantially as a leader and even discover my own passions. This job was very big commitment and required a lot of dedication, time, and responsibilty. I knew that it was going to be a challenge, but I wanted to be as involved as I could be and make a difference in our marching band program. I learned so many valuable leadership skills throughout this experience, allowing me to come out of my comfort zone, build new relationships, and be the role model that the drum major is meant to be. Auditioning to be the drum major was definitely the best decision I have ever made because it shaped me into the person I am today. I plan on taking all the leadership skills I learned and apply them to my life outside of band, whether it be being the one others can look up to, helping others improve, or even being there for others in need. I consider this experience to be the beginning of my career as a leader and I hope to continue and further expand on it. It is important to me that one day I make my mark on this world. Hi! My name is Adam Falknor and I am from Troy, Ohio. I currently am undecided on my major, but I plan on pursuing Computer Science Engineering. Both of my parents graduated from The Ohio State University and so will my sister this coming spring, so throughout the past few years I have fallen in love with campus, making it feel like a second home. I am also involved in Mount Leadership Society Scholars, a program dedicated towards volunteering, improving leadership skills, creating relationships, and community involvement. These aspects of Mount are very important to me, shaping me to become the person I truly want to be. I was very involved in high school, hoping to learn new things and make new friends, but I benefited from so much more. 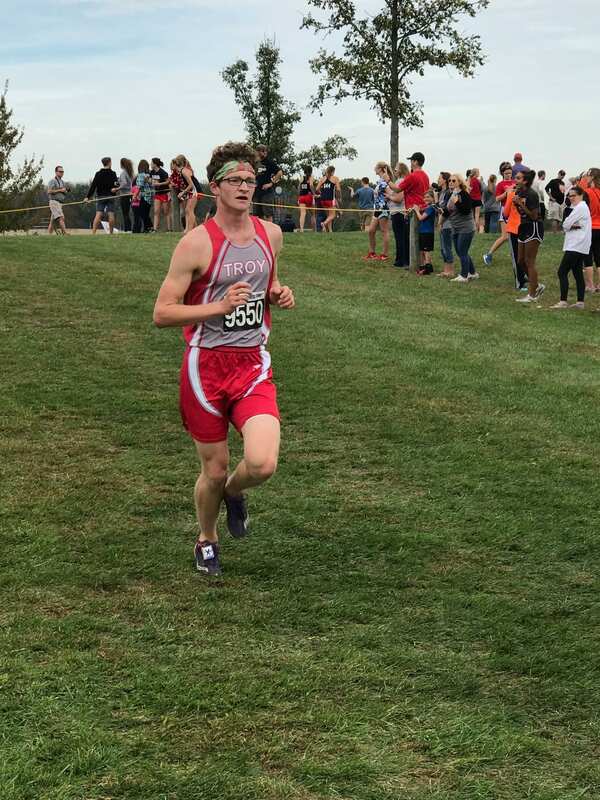 As a runner on the varsity cross country and track teams, drum major of the marching band, and member of programs such as National Honor Society and Reading Buddies, I was able to discover new passions, build character, expand leadership skills, and develop a sense of confidence. Along with academic success, these are qualities of personal growth that I plan on continuing to expand throughout my years in college. I challenge myself constantly because I am always in search for self-improvement, knowing that it will all pay off in the long run. Not only do I want to thrive academically, but I hope to one day make my mark on this world whether it be big or small, and I believe my college experience will help me achieve this. I am excited for the next chapter in my life to begin, hoping to prepare me for the future ahead.